The Howard League for Penal Reform aims to keep as many boys and girls as possible out of the criminal justice system. And figures it published on Monday show that, during 2015, Warwickshire Police made 619 arrests of boys and girls aged 17 and under which is significant progress since 2010, when it made 1,419 child arrests. There is still work to be done, however. 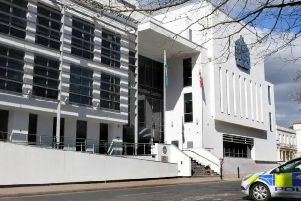 Although the overall trend is positive, Warwickshire Police was one of 13 forces in England and Wales who recorded a rise in the number of arrests of boys and girls between 2014 and 2015. Frances Crook, Chief Executive of the Howard League for Penal Reform, said: “I applaud the police for their success in reducing child arrests. The Howard League is proud to have played its part in a significant change to the policing and life chances of children. “It is particularly gratifying that the reduction in child arrests matches exactly the reduction in custody for children, and it is no coincidence. We have stemmed the flow of children into the justice system and the consequential downward spiral into crime and custody. “It is a little disappointing that 13 forces, including Warwickshire Police, have not maintained the momentum in the last year. Despite this increase in arrests between 2014 and 2015 compared to previous years the number of children arrested last year in Warwickshire remains the second lowest in the country - as has been the case since 2011. Warwickshire Police and Crime Commissioner Philip Seccombe said: “Arrest should be a measure of last resort wherever possible where children are concerned.